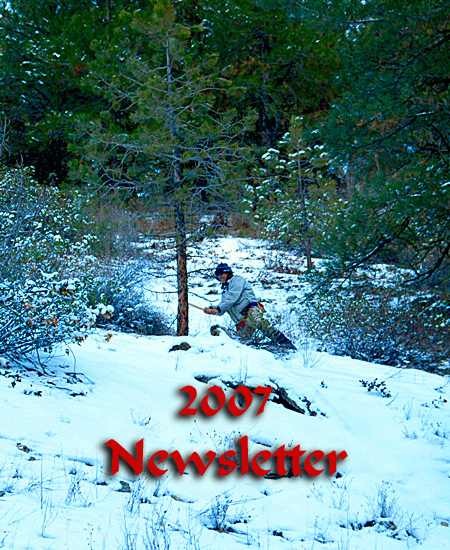 Welcome to the web version of our 2007 annual newsletter. Enjoy the brighter images and the same comments we make in our snail mail version. After you have read our holiday comments, check out Leon's web page. Click on any image to get a larger picture, then return to the text page using your back arrow on the browser. Click on the links below to see each section of our newsletter.